How do you attract users to your website, specifically if you use WordPress as your content management system? There are incredible capabilities in WordPress as a CMS that can be leveraged to increase conversion rates and drive traffic to your site. We break down some of the top tricks you can use to increase user conversion rates below. Conversion rates matter when you have the right size and type of audience. Targeting specific users to drive traffic to your site is the first step in increasing conversion rates. How do you know if this is happening? By analyzing the data. There are many helpful tools that can analyze traffic and SEO ranking, including Moz and Screaming Frog. Even a basic overview of the website traffic with Google Analytics can give you a great starting point for producing content and marketing measures that align your site with your target audiences. There is even a Google Analytics plugin that can be used directly with your WordPress site which is easy to install and use. With all of these great tools at your fingertips, you can create a solid starting point to understanding your traffic. What exactly does a tool like Google Analytics help you understand? While there are dozens of facets to Google Analytics that can be leveraged to help with your understanding of target audience usage, the basics include examining acquisition “channels” to see where your traffic is coming from. Is it primarily organic, or is social or referral-fueled traffic driving your site? Google Analytics can help you breakdown your traffic sources. You can also look at “Behavior” of your content pages to see which ones are getting the most clicks, if the bounce rate is low enough to drive traffic further in your site, and more. The best part? Google Analytics is free. Spend some time exploring the analytics to give you a baseline for improving conversion rates with measured, trackable goals. Analyzing your conversion rate with Google Analytics is easy; understanding why your conversion rate is what it is may not be as simple. Importantly, you should never assume any information about your users. Exercises like proto-personas and other strategy exercises can give you valuable insights into your users’ mindsets, habits, and engagement processes. Understanding how your conversion rate works takes this a step further. There are dozens of factors that can play into your conversion rate beyond the actual website, including market up or downswings, buyer or seller conditions, industry shifts, and more. Demand for particular products or services may go up or down based on market conditions, the political climate, or world events. To eliminate the extraneous elements from your conversion rate analysis, use a tool that has goal tracking, such as that found within Google Analytics. 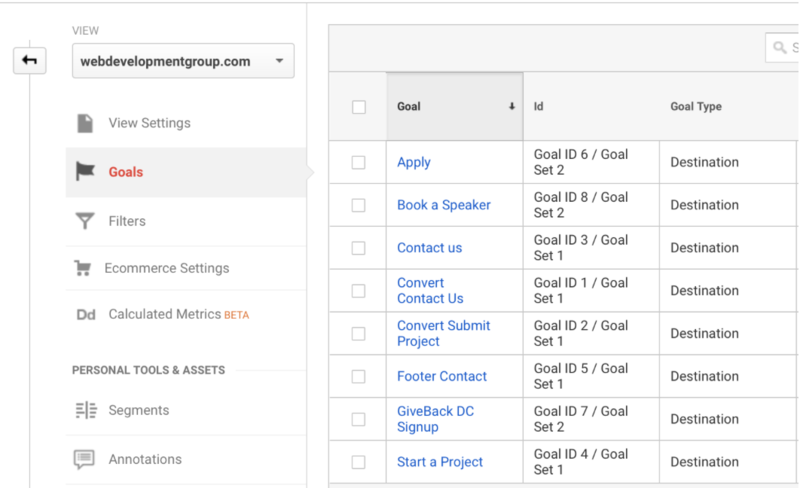 The “Goal Tracking” feature allows you to map potential conversion actions on your website for users, including forms, contact points, sales, emails, and phone calls. You can then track and measure which calls to action are converting, and which are underperforming. Using other useful tools like GravityForms allows you to redirect users towards a single page, such as a “Thank You” page for completing the action, which provides a common baseline for analyzing user habits. From here, you should build your goals in the analytics tool. Create a “New Goal” and assign a destination, then enter the URL of the page you want this to lead to. You can even add the cost per lead to track value add. Once you have completed this, you can do the same process for every measurable goal on your site, allowing you to easily view and visualize the success rate of your goal implementation regularly throughout the year. WordPress is fantastic for building easily manageable and aesthetically engaging sites that can help drive traffic and increase your conversion rate. User experience (UX) and design are key in helping guide users towards actionable conversions. A strong strategy team at an experienced web design agency is the perfect way to create a professional, engaging website. Expert digital strategists can design a logical and engaging user experience with user insights, prototyping, restructured information architecture, card sorting exercises, tone and voice exercises, and more. 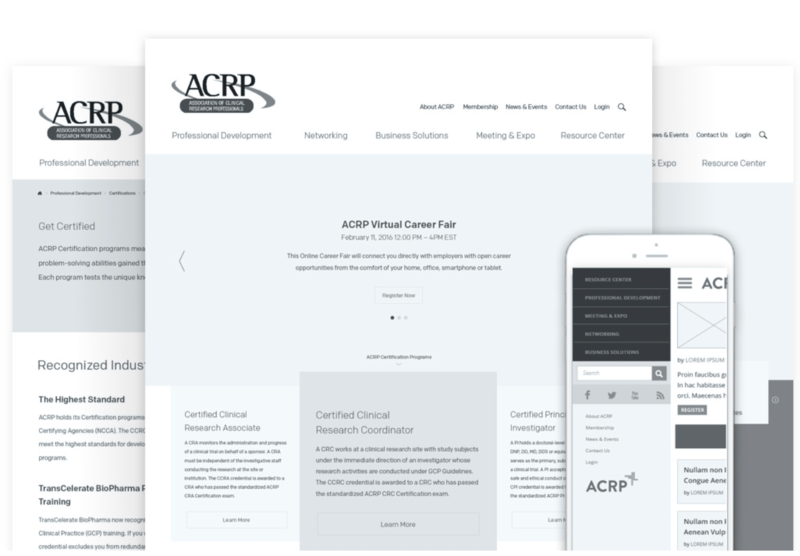 They can also highlight key areas where CTA’s and menus can be structured so as to drive users further into the website, or eliminate redundancies in the information architecture. Expert designers can then leverage this information to draft wireframes for an improved user experience before designs are ever created or executed. These can be tested through products like InvisionApp on real target audiences. Drafting wireframes is a key step in creating the ideal user experience from both a strategy and design standpoint. The data from those exercises can be used to inform the final design and corresponding build of the website on WordPress. It’s also important to also highlight points of contact for users with clarity. Is a contact form converting, or is a direct email link a better option? Is footer information clean and easy to reach, and are links to social media clearly identified? Are these and other elements responsive on mobile or tablet as well? All of these concerns are points to consider when designing with conversion in mind. Similarly, you want to make sure your content is converting well. Optimizing content on the website for search engines is key, so users can find you easily through organic means. You can also optimize your content with basic best practices, creating click-worthy copy to drive user engagement. WordPress is a powerful platform with capabilities designed to leverage speed and reliability for users. Make sure your hosting site is on point with the demands of your users by using a proven host like WordPress VIP or Pantheon. You should also optimize your content for speed, such as making sure image sizes are appropriate (aka not too big) and compressed. Use the “Inspect Element” tool (right click on the image in your browser to find this) to see the pixel dimensions and adjust accordingly. You can reduce image quality in some cases to save on valuable file size space as well. Other basic ways you can implement higher speeds include keeping plugins up to date, security patches from WordPress integrated regularly, and community-based advancements integrated into your site. These measures also help ensure security for your WordPress site. Leverage the power of the WordPress community through forums to help you optimize your site for the perfect user experience as well. By employing these basic tricks to optimize your WordPress site for the ideal user experience, you will be able to not only identify measurable goals for your conversion rates, but leverage unique WordPress capabilities to maximize your chances of successfully driving user engagement with powerful results. Want to learn how to create a customized strategy to increase conversion rates for your site? Contact our expert strategy team or email us at [email protected].